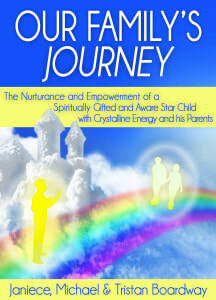 We use the term New Children to encompass everyone labeled Indigo, Rainbow, Crystal, Star, etc. In addition to these “higher vibrational labels,” we include those diagnosed with the 3-Dimensional labels of ADD/ADHD, Autism, Asperger’s, and others. We find that the children who receive these diagnoses are high vibrational and often find it more comfortable to exist in the higher dimensions filled with loving energy. There has been an increasing number of New Beings coming to Earth since the start of the 20th Century. With the Harmonic Convergence of August 1987, ushering in a new wave of lighter energies that began cleansing the denser layers of the 3-Dimensional World, the invitation was sent throughout the Multiverse calling for a greater number of New Beings to come and assist us on our evolutionary journey. The higher numbers of these Beings were necessary to lift the vibration of every individual, every living thing, on this planet leading us into the Golden Age. Although there can be much overlap with each of these New Beings, there are certain characteristics that emerge with each label. For example, even though my son was born during the time when the Crystal Children were arriving, he is most assuredly a Star Child. Many have said that Tristan is a Star Child with a broad Crystalline energy field. The New Beings have tremendous gifts and have come to Earth to help us remember our innate abilities. Such gifts include all the Clair-abilities. They are telepathic, communicate energetically, and are heart centered. Many come in with natural healing abilities. They can see beyond appearances, are extremely aware and perceive the truth in all situations and with all people. Many of the New Beings see the auras and energetic fields around people and also perceive non-physical presences. When Tristan began speaking, he told us about the colors and Beings such as Angels, Spirit Guides, and some not so loving Beings that he saw around others. Many have remembrance of their own and other people’s past lives and lifetimes on other planets, galaxies, and beyond. The New Beings have come to share their gifts with us and reawaken us to our gifts. Are we ready to allow them to express their genuine and full potential? If we answer YES, that means going deep into the depths of our soul and uncovering and healing everything that is not of our true selves. Now is the time to step into our awareness, our consciousness for when we acknowledge and trust ourselves, we empower ourselves. This call to action is what the New Beings are asking of us. To be aware and conscious, so we fully embody and brightly shine our true selves expressing as the Empowered Beings we truly are. As a former School Principal, I had the privilege of working with the New Children and witnessing the extraordinary awareness that they had. Unfortunately, our schools and other systems are not currently meeting their needs, simply because - up till now - we’ve had a very limited understanding of how they perceive the world. Through their ground-breaking book, the Boardway family offer critical information that will help young people, parents, and authorities learn how to best support and nurture these gifted children. Many books on this subject skirt around the more esoteric and “out there” experiences in wanting to appeal to the mainstream, but the Boardways reveal all aspects of their journey, from the most magnificent to the most challenging. This book gives valuable lessons in understanding the common misdiagnosis of many conditions considered illnesses rather than a greater awareness of the energy fields in which we live, and how to best support your loved ones through adversity created by our limited perception. 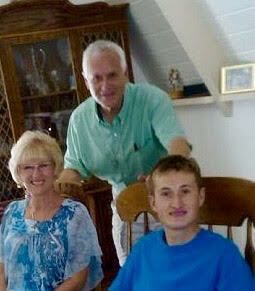 Tristan is an exceptional young man who came into this life with full memory of his birth and previous incarnations. The veil was not drawn across him. Being in a limited physical body was initially very challenging for his expanded energy field, but his parents defied the odds to support their son through all of the tests and trials, allowing him to ultimately thrive and bring his message out into the World. The message is for humanity to wake up to the truth of who we are and to live lives of heart-centred kindness, unconditional love, collaboration, and non- judgement. Tristan, Janiece, and Michael are true pioneers and shining examples of the way we can all be living our lives – fully Alive, Awake, and Aware!